HyLee's Black Thorn is a big handsome colt. He is very high-headed and has a fine harness way of going and carrying himself. He is going to mature to a good size. 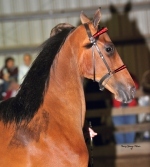 He recently was pinned North Central Morgan Association Yearling Futurity Champion. He has a great disposition and is very easy to handle. He is out of a big strong Tug Hill Commando daughter and by the Champion, HyLee's Galaxy Seven. Eligible for the Jubilee and North Central Morgan Futurity. 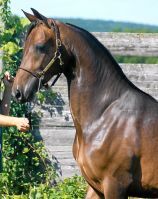 Pictured as a yearling now recently was Grand Champion Stallion at the North Star Morgan Show besides winning the Yearling Colt Futurity Qualifier and the competitive Yearling Sweepstakes at North Star. 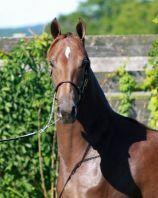 A very talented yearling colt who personifies his sire and dam. Lots of motion, type and athleticism. Eligible for the Jubilee and North Central Morgan Futurity. 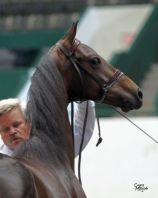 Contender is a beautiful chocolate bay stallion with a very long neck, a drop dead gorgeous head, long legs, balanced body, deep chest, correct, balanced and good moving. Oh, my what else should I say about this handsome horse other than he is a very smart colt, easy to train and level headed. 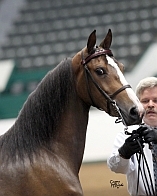 He comes from a line of horses on his dam's side who have all been top amateur, junior exhibitor and ladies horses. 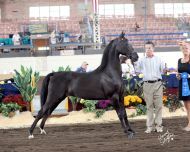 His dam, HyLee's Diamond Fantasy is a blood sister to the many world titled HyLee's Fan Flaire and holds a National Championship herself. She is also a full sister to the winning Faircrest Killian's Red. He is just a very nice individual and it is hard to sell one with such potential in the future, but it is with great hopes that someone gets him who wants to make a name for themselves and also this fine horse. 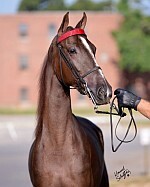 Ivan is a handsome bay colt with a ton of animation and attitude. 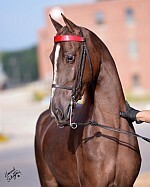 He will be an outstanding performance horse and will excel in the futurities. HyLee's Screamin' Mimi is a very fine, elegant two-year old filly. She is out of the well known Park Harness Champion, Whispering About Me. 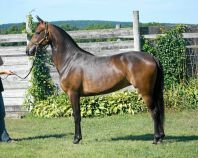 She recently won the Futurities at North Central Morgan Association in the In Hand 2 Year Old Filly Futurity, Two-Year old Driving Futurity and the Futurity Two-Year Old In Hand, and completed her 2013 show season winning the Jubilee Two-Year old Futurity Filly In Hand. Extremely talented, she is still growing and needs another year to really come into her own. That is how it was with her mother and as a Three-Year Old she won the Grand National 3-Year old Park Harness Mare/Gelding division. Worth the wait. 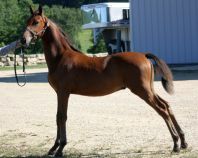 Black/bay colt who is so upheaded and talented moving. 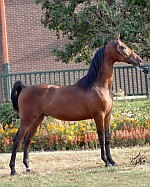 He is a strong bodied colt and has very good size. I will love him in harness. 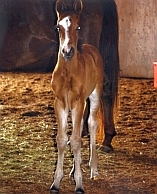 Bay colt with a drop dead beautiful head and big eye. He can curl his neck and do a big trot. 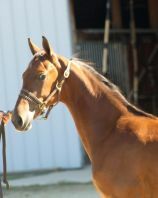 "Whiskey" is a very up-headed colt and is a trotting fool. He looks alot like his grandfather, HVK Fancy Dan with a touch of the Noble Flaire look though Rare Flaire. He can squat down and drive off his hocks and lift his front end off the ground. Bushmill is still developing into a stretchy talented performance horse. 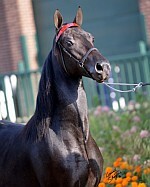 He recently won the Yearling Colt Open and the Futurity class at the North Star Morgan Americana this year. He is a very smart thinking colt with a very nice future ahead of him. Embraceable is just a wonderfully strong moving filly with a very smooth body. 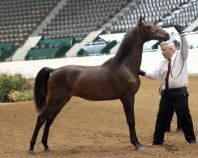 She has motion to trot up a storm and classic body type that a good Morgan owner likes to see. She is very smart and likes to work, she as a yearling, is wearing a backpad and crupper and took to it like she was born with it on. 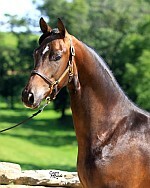 She is wearing a bit and is eligible for the North Central Morgan Association Futurity. She will also have very good height, at least 15:1. 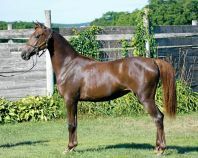 "Scout" has recently won the NCMA Yearling Filly Futurity at the North Star Morgan Show and was award Reserve Champion Futurity Yearling Filly at the Jubiliee Regional Show. 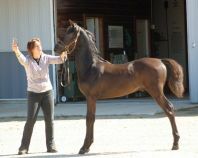 She has such Morgan type, great balance of body, super hocks and an expressive head. Truly exudes the perfect Morgan female. 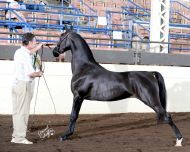 Zerelda is another gift from HyLee's Teardrop who exhibits size and strength of body. She was not brought out of the colt shed to work until September of 2010. She is high-headed and very nice through the throat latch for her size. She is strong off her hocks . She is a full sister to HyLee's Vanity and HyLee's Seven In May, both who have been winners at the major shows. We will watch to see how Zerelda develops, whether she be in performance or as a producer in the future, she will be one to remember. 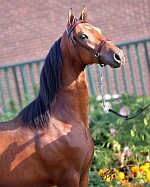 A purely exotic filly with loads of expression and talent. She debuts at the Jubilee in Springfield. She may be HyLee's "Best Kept Secret". 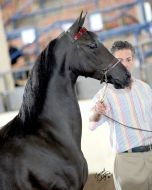 She will be shown by Glenn Bouvier and will definitely be one your won't be able to take your eyes off of. 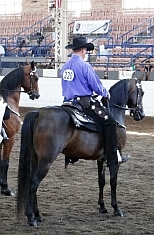 In true Grace Under Fire "style" and Mizrahi reputation, she will be on the "runway to success"
Reneé in her first time showing, at the Jubilee Regional Show won the Yearling Filly In Hand, was Reserve Junior Champion Mare and was Jubilee Futurity Champion Yearling Filly. Off to a winning start! 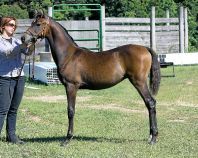 This is a very classy filly with alot of motion and extremely strong hocks, like her mother. She has been hooked. She will matured at least 15:3. She is so graceful and with alot of leg and attitude. Tripoly is developing into a very powerful individual. He is so animated with very little shoe or length of toe. We are giving him time to develop before we bring him out. As you can see, he is very beautiful and well put together. Tripoly is now a 3-Year old and drives and rides. He is brilliant in color and presence and has so much talent of both ends and a bold go forward attitude. He is ready to take on any and all competition that comes his way.